Discussion in 'Music' started by Cliffy Burrows, Jan 14, 2015. 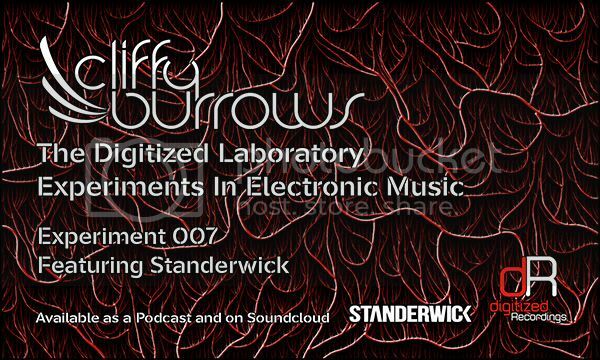 The latest Digitized Laboratory featuring Standerwick is now up. Firstly I have has done a mix showcasing all the tracks from the forthcoming Digitized Recordings release The Mexican EP: Digitalizado. The EP will be in 2 parts and over all contains 11 original tracks from the very best Trance producers in Mexico. After that mix we have a exclusive guestmix from man of the moment Standerwick. He has recorded the mix especially for Sunset To Sunrise. They are hosting a special Digitized Recordings night on February 8th for which Standerwick is headlining. More info at the bottom of the description etc. Enjoy the experiment!